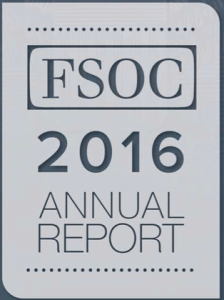 The US Financial Stability Oversight Council (FSOC) released their 2016 annual report this week. While much of it is a recap of prior activities, there were several important forward-looking points that will impact securities finance and collateral professionals. We provide highlights and analysis for Securities Finance Monitor readers. Previous Post GFMA, ISDA, IACPM and JFMC respond to the Basel Consultation on Internal Risk Models Next Post FT: when will the Brexit result be known?